When thinking of the area around the LA and Orange County border, coffee isn’t the first thing that comes to mind. Solid Coffee Roasters, though, is trying to change that. 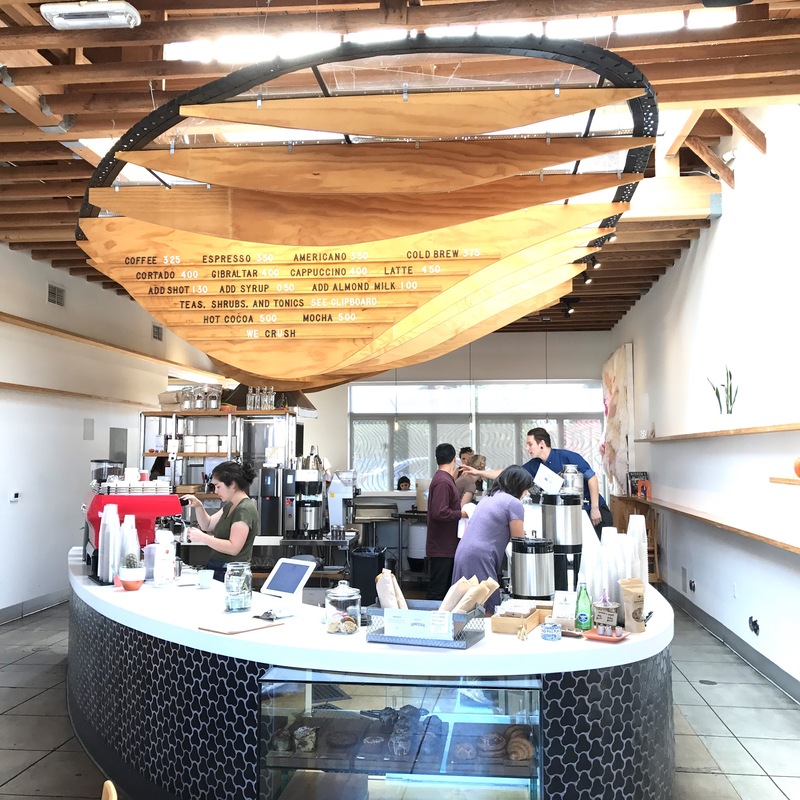 Although Solid only opened up a coffee shop in September 2016, they’ve been roasting and brewing coffee for organizations and individuals for a few years (note: they’ve been providing the cold brew coffee for awesome Tackle Box in Corona Del Mar. Check them out!). Its location is a bit odd in the City of Artesia, in a small not-so-flashy strip mall, but hey, who cares? Once you walk in, you forget where you are. The decor is not overly minimalistic, but it’s clean, with white subway tiles and wooden countertops and tables. Funky lights hanging on the ceiling lead you past the espresso machine all the way to back, at which point you’ll meet the coffee roaster. As for the food, it’s actually pretty good. In fact, if I’m in the area and needed a simple meal, I’d consider stopping by Solid. “The 808,” “Green Bird,” “Toffle,” and “Sparkling Iced Lemonade” are a few of my favorites. Mmmm…lemonade…I like their lemonade. Since people seem to hang out for a while — could it be the free wifi? — tables could be hard to get, but customers also congregate in the back and place their drinks on the rail counter thing, while they stare at the coffee roaster. Also, Solid is kid friendly and parking isn’t a problem. Finally, the staff. Each Solid employee I’ve met has been awesome. They are conscientious, friendly, and eager to help you out. So go drink the liquid at Solid! 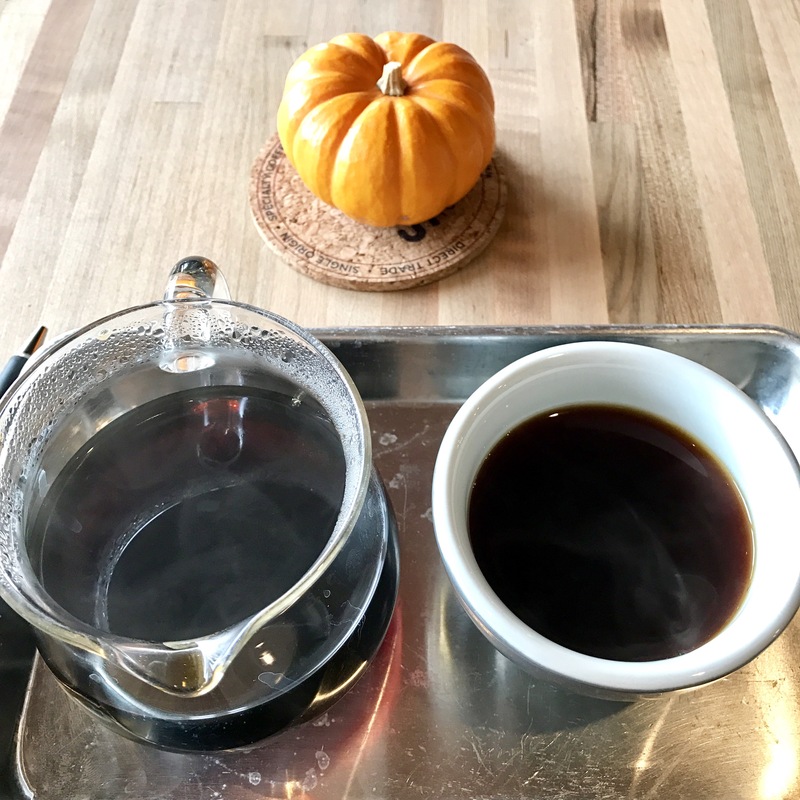 Unlike its neighbors to the north, there are only a handful of places in Orange County that I’ve discovered that embodies the “total package.” Kit Coffee is one of those places. Nestled in the well-to-do beach community of Newport Beach, Kit Coffee is far from being pretentious. With its over the top commitment to the human experience, Kit welcomes you with a smile and offers a fantastic array of coffee from Coava, Heart, and Temple. Its bright open space, light colored wood, and accents of white and gold help me and I’m certain others reach a place of clarity and peace. And I don’t know why, but I really dig their geometrically shaped stools! Tips: Kit has a full service coffee bar and pour overs are brewed with the use of a V60. They just started offering a short list of food items which consists of breakfast burritos, avocado toast, pastries, etc. (haven’t had the opportunity to try yet) However, I did see them bring in food from Porto’s once, so hopefully they’ll do so again. So, I’m big into vessels and Kit has some awesome Bowman Ceramic mugs for purchase. I LOVE mine! Sorry, not sure about WiFi. First post! Thanks for visiting! I can’t stop yelling! With a primary focus in Southern California, we’ll feature numerous coffee venues at which you can drink good coffee, as well as have a nice time doing so. Whether you’re looking for a place to hang out with friends, or get some work done, or to find your much needed moment of solitude, we might be able to help! And if you want to step up your coffee making game to another level, we can give you some pointers. But there is so much more to coffee than coffee. We’ll share how we look at coffee through humor (we hope! ), art, philosophy, life, community, and more. We want to have fun while we share our attitude about coffee. Hence, Coffeetude. In the next few weeks, we’ll unveil more details, but in the meantime, we’d love to hear from you! Please respond as a comment or find us @coffeetude on Instagram and Twitter. If we ever do help you out, and you post about it, we’d appreciate a #coffeetude mention. Thanks for stopping by! Author coffeetudePosted on October 3, 2016 October 3, 2016 Format ImageCategories UncategorizedTags Coffee, GeneralLeave a comment on First post! Thanks for visiting! I can’t stop yelling!